Have you been patiently waiting for the release of the white iPhone 4? There’s good news. 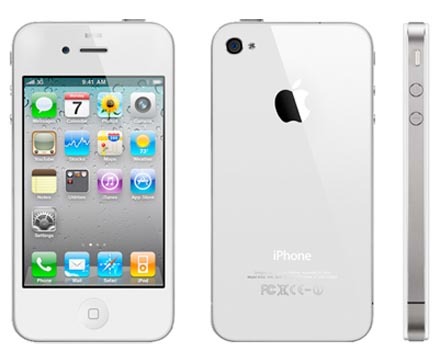 Apple has finally confirmed that the white iPhone 4 will be in production soon. According to the Cupertino company, the white iPhone will be released in the spring. We saw a white iPhone 4 in the hands of Apple Chief Executive Steve Jobs when he showed off the company’s latest gadgets last year. The white iPhone 4 however never went into production. Apple has since claimed that manufacturing problems had delayed its release. Its release has been rescheduled a couple of times to the utter dismay of iPhone fans. Rumor has it that the delay is caused by the difficulty in creating a white-colored glass. Others say that Apple may be doing some serious tweaking on the antenna system after the black iPhone 4 received flak for causing reception problems. If Apple delays the white iPhone 4 further, that would translate to weak sales considering that the release of the iPhone 5 may be just around the corner. Lets hope the white iPhone 4 is released soon. And let’s hope reaches the Philippines. hahaha. kala ko tunay yung nirelease 🙂 magkano yung clone? maayos naman performance?